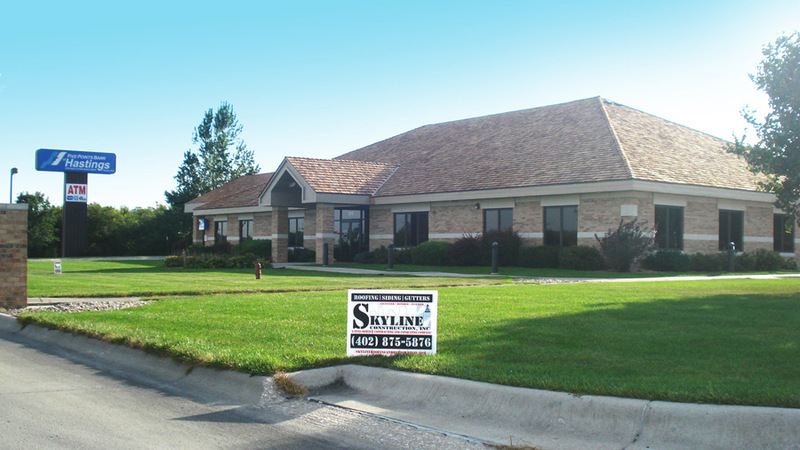 Skyline Construction is one of the top commercial Insurance Restoration Roofing Contractors in the Midwest. We specialize in jobs both large and small and have long-standing relationships with many insurance companies, deriving more than 75% of our work from the insurance industry and commercial claims. Skyline Construction uses the same software and price schedules as every major insurance company in the US. This software, called Xactimate, allows for several different combinations of the line item entries which often make up varying estimates. Skyline works with the insurance company and its adjuster to help determine the correct value for your project. We understand our prices may differ from the scope provided by your adjuster. Upon signing a Contingent Agreement, we resolve any pricing or scope difference with the insurance adjuster before beginning any work, insuring that there will be no added cost to you, other than your deductible. With over 70 years of combined experience, we understand the insurance process as well as the needed attention to detail needed for your construction needs in order to give you the highest quality roof, a great construction experience and the best manufacturer warranty. Skyline employs staff members with over 30 years of commercial estimating and engineering experience to guarantee you with a correctly valued project, completed with the highest quality workmanship. Our goal is to have you as a future reference.